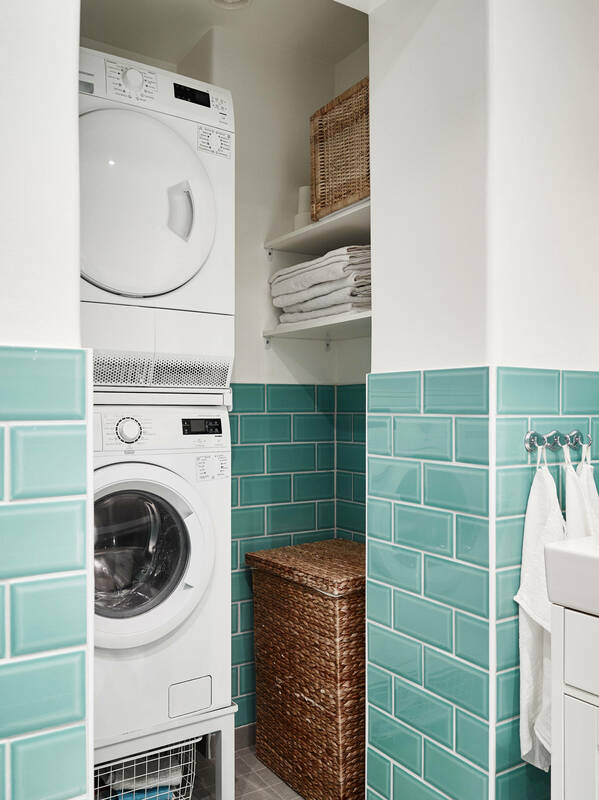 When you are placing a washing machine in a bathroom it would be the most aesthetic way to hide it under a cabinet or doors. 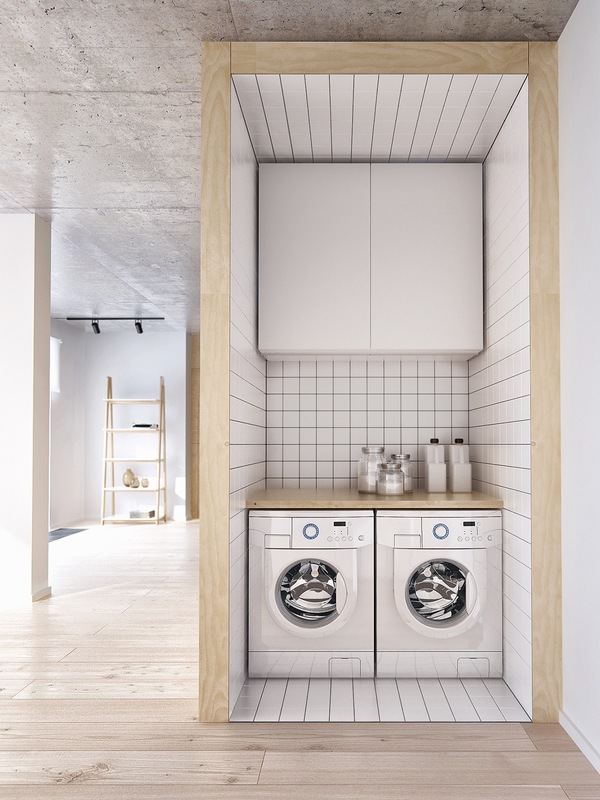 Laundry room is an area where not only a washing machine, a dryer, a small sink (not necessarily), but also various things to iron the clothes, various bottles and chemistry, probably and a vacuum cleaner and everything that one should not find in the main premises, are located. 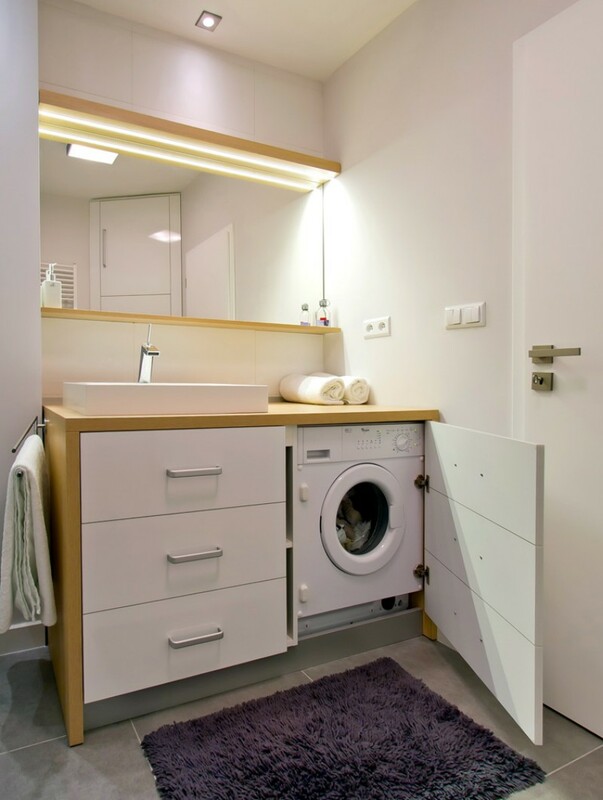 Of course, for those who have the opportunity to equip a laundry room, it is a huge advantage, but not a necessity, therefore, I’ll show you examples how a washing machine looks like in a bathroom. 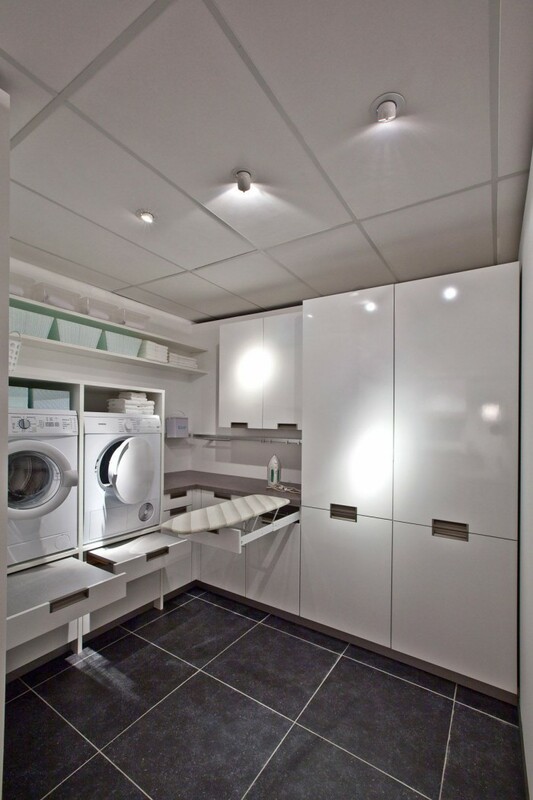 Saving money of customers visualizations for a laundry is not made and I don’t see any point in doing them. 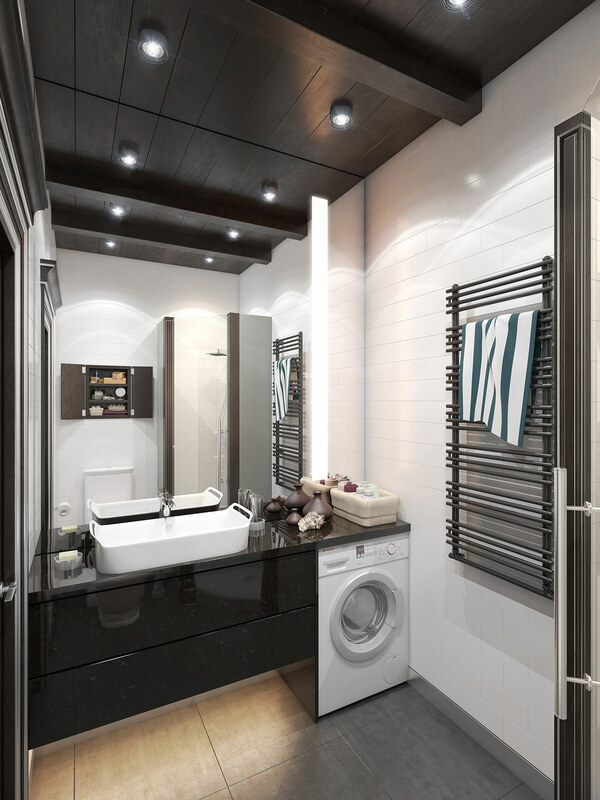 One can invent cabinets of their own, as there’s no need of some particular design there. 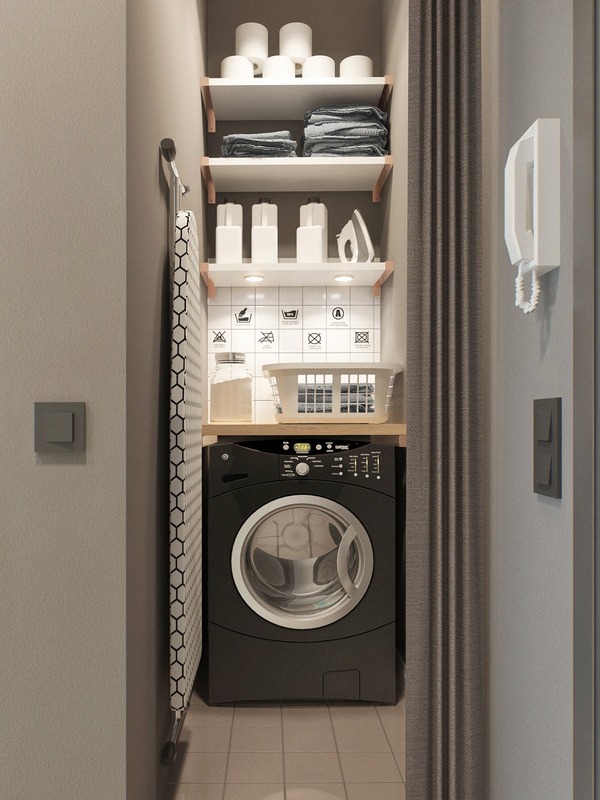 The most important factor is that it’d be comfortable for a housewife who’s going to work there to find everything next to her and there was enough space to turn around and iron clothing. 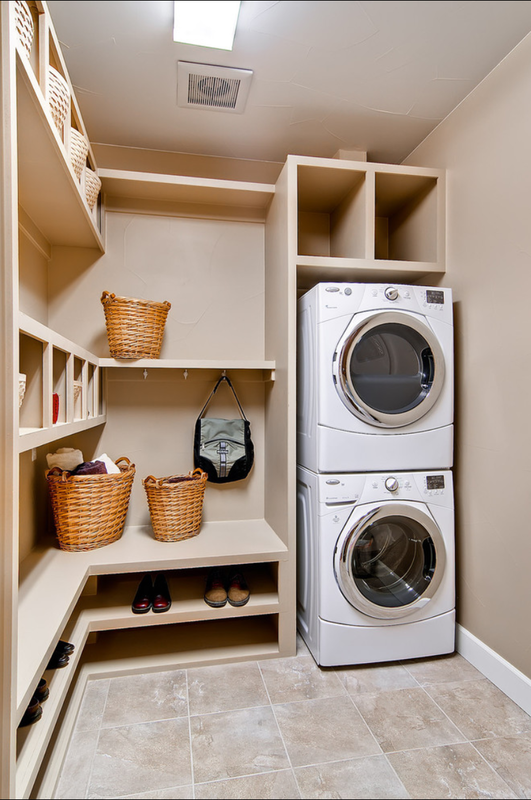 Sometimes inconceivably huge space is left for a laundry, therefore, you should immediately plan how many and which kind of cabinets you need, as one or another space that will not be used purposefully will clear your pocket earlier or later. 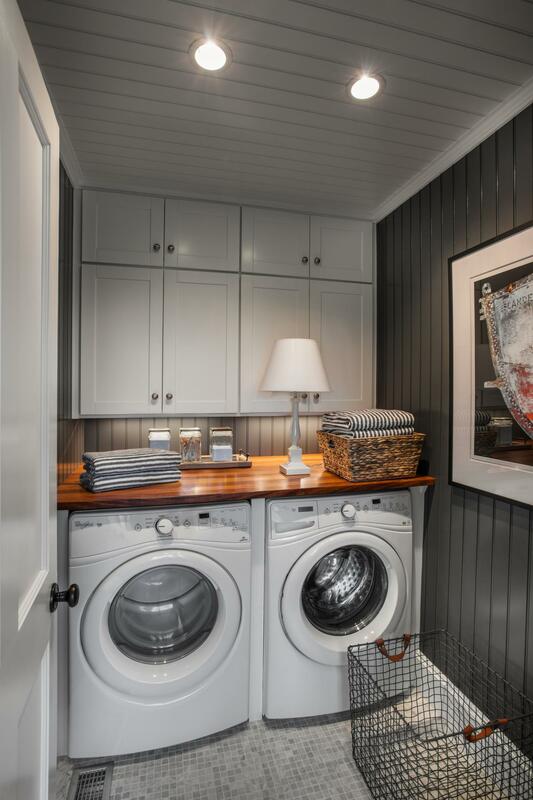 Pay attention to solutions in photos: a drawer under a washing machine looks very functional. 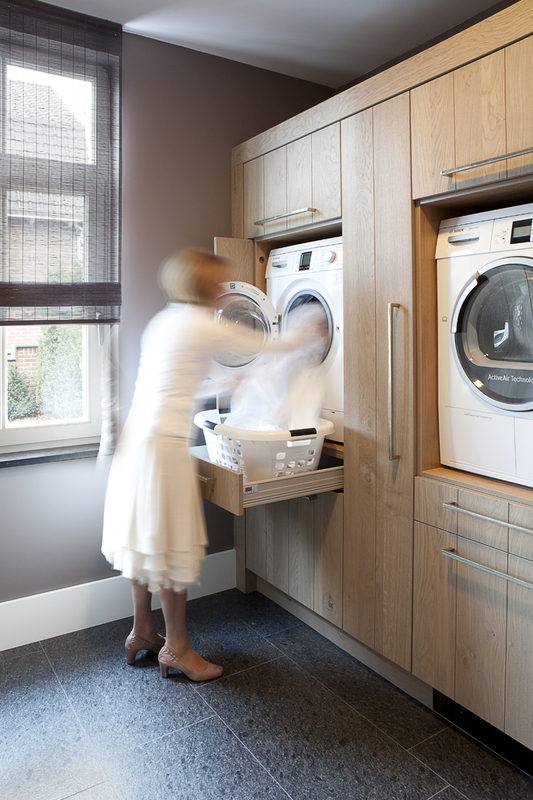 As soon as you pull out a drawer you can comfortably load clothes into a basket. An ironing board should not necessarily be portable – it can be withdrawn as a drawer. 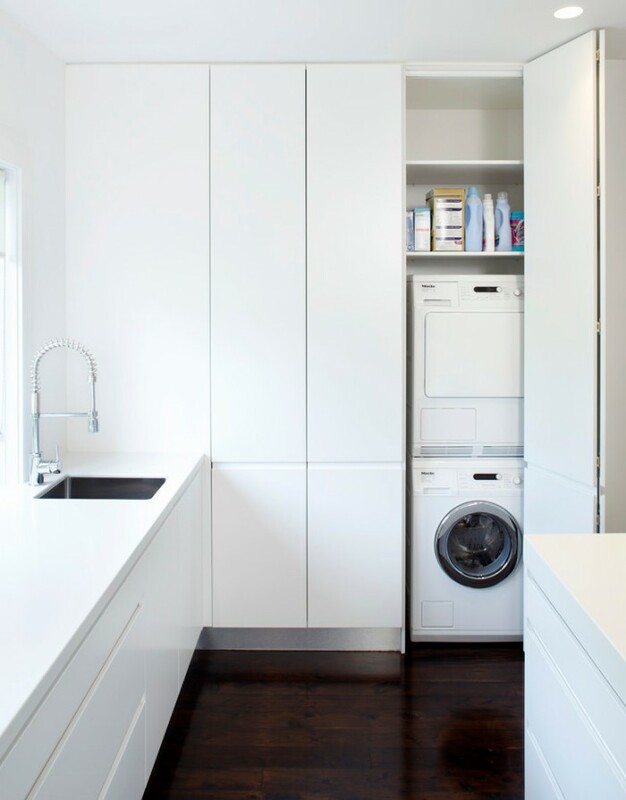 When you are placing a washing machine in a bathroom it would be the most aesthetic way to hide it under a cabinet or doors, however, you must necessarily evaluate all the heights so that you could comfortably use a washbasin if you are going to build it. 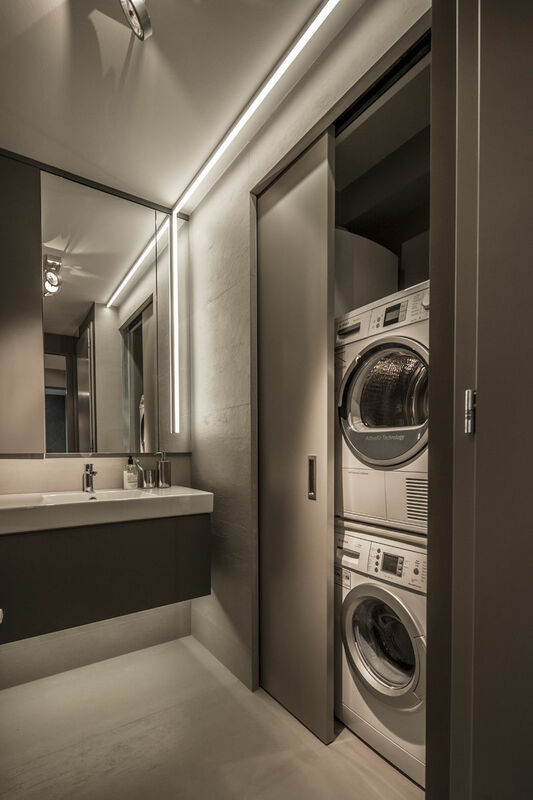 You should also foresee where sewerage and water connections as well as a rosette to connect a washing machine will be.